Adult Diploma Online High Schools Programs. Why should I get my diploma instead of just getting a GED? The GED – General Educational Development Test is a good step in the direction you may want to go with your life… Something about saying, “I have my GED” is kind of like saying, “I only did what I had to do in order to move ahead.” Now, as far as getting a diploma from a great online high school where you have all of the core basics, along with some great electives to choose from, now that says that you went above and beyond what is needed and that you want more out of life than to just get by! If you plan to go to college, obtaining a high school diploma from a good online accredited high school may go much further than the GED in getting you noticed. Lets face it, colleges like people who go the extra mile to improve upon themselves. The GED is a good way to get into the work force, however, the diploma may take you further, along with making you better prepared for a secondary education. Below, you will find a list of great accredited online high schools with adult diploma programs in place in order for you to reach your goals. Orion High School has a program in place that is set up for you to get your diploma as an adult. This is not a GED program. Orion’s program is organized to help you if you desire to enter a trade school or community college after you earn your diploma. Orion High School will work with you in order to transfer your existing credits from your previous high school. Orion will research and will acquire your transcript, then apply those credits toward your 22 credit graduation plan. Orion High School will even allow you to use use some life work experiences as required credits toward your 22 credit requirement. You can see the classes offered through this program by clicking this link. Adult Program Class Link Click Here. Orion is accredited by the Southern Association of Colleges and Schools Council on Accreditation and School Improvement a division of AdvancED, the biggest accreditation group in the world. You should have no problems with your credits transferring with this accreditation. Orion is also accredited through the Texas Private Schools Accreditation Commission. Click this link to see more about Orion’s accreditation’s. Citizens’ High School has a program for adults needing to complete their high school credits in mind. You can learn from home in your spare time with their self passed high school program. Citizens’ has programs set up to get you into the work force or a four year college depending on whatever goal you seek. Citizens’ High School not only makes it possible to contact your teacher at any time via email or calling the school, they also provide you with an Academic Advisor that helps with academic services in order to meet specific needs of students they enroll. Citizens’ Online High School program offers several quality courses from the basic electives to Business, Life Management, and Foreign Language courses. You can click this Course Link to see all courses offered. You can also choose just one course at a time if that is something you are interested in doing. Citizens’ High School is accredited through Distance Education Accrediting Commission since 1984. Citizens is also listed as a private high school in Florida by Florida Department of Education Directory of Nonpublic Schools, under District: Clay County, as school number 1345. Having an accreditation is important in order to make our list and makes it easier to have your school credits recognized at other schools and colleges. See Citizens Accreditation’s. If you are interested in Citizens’ High School click link below to see their website and contact info. CompuHigh has an online high school Adult program set up through an accredited school called Whitmore School. Through this adult program, you are expected to set up your own schedule. You are able to work at your own pace and you are allowed up to five credits from life and career skills. Past high school credits can also transfer if they are from public or private accredited schools. Whitmore High School is a mastery school that will provide you with one on one teacher student interaction allowing you to be able to complete up to six credits per year. CompuHigh- Whitmore High is accredited regionally through North Central Association Commission on Accreditation, School Improvement, Southern Association of Colleges and Schools, along with AdvancED, the biggest accommodation group in the world. With these accommodations you should have no problems with getting credits from this school to transfer to other private schools or colleges. CompuHigh Accreditation page. You can choose between two lines of study with this program, you can choose the general studies track with 18 credits, or you can go with the college prep track with 22 credits depending on what you have in mind for further education once out of the high school program. You can find the information on both by clicking this link. Whitmore School Courses Link. CompuHigh- Whitmore High School Adult program may be a good choice for your adult high school needs and if you want to see more about this nice program, you can click website link we provided for you below. CompuHigh– Whitmore High School Website Link Click Here. International Virtual Learning Academy is set up for adult high school through their adult high school program. When you enroll yourself in International Virtual Learning Academy’s online high school program, you will have access to an adviser who will be assigned to you offering encouragement and support to you every step of the way. Your adviser will track your progress along with giving personalized attention and will work with you by removing any obstacles which may have given you problems or hindered you from completing high school in the past. International Virtual Learning Academy is accredited through AdvancED accreditation group. You should not have any problems with the course credits you earn at this online school transferring to other schools or colleges. You can see more about the school’s accreditations here International Virtual Learning Academy Accreditation Link. International Learning Academy’s adult program allows you to learn the basic core courses and they also have available AP-honors, christian, accelerated, foreign language, and many more courses to choose from making this program a great option for your adult diploma needs. Check out the Adult Diploma Program Here. International Learning Academy is a really nice quality online high school and you can see more about it from contact information to cost by clicking the link we have provided below. International Learning Academy Website Link Click Here. Texas Success Academy has an adult program that stands out because they won the Private School 2014 Best Adult Education School. With this award winning program, you have a flexible schedule with classes available around the clock. You can keep the credits you have already and you can get all your classes at once with their accelerated program. Texas Success Academy is accredited through Texas Education Agency (TEA) approved school and Regionally, Nationally and Internationally accredited by SACS CASI. You can take classes anywhere in the United States or even Internationally. The credits you receive here will be able to transfer to any other high school or college. 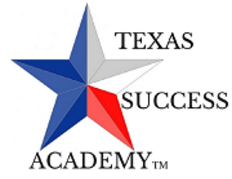 See more about Texas Success Academy’s Accreditation Here. With Texas Success Academy, all classes are available 24/7 and you also have teacher support that you can access via email, phone, or Skype. You will have several classes to choose from starting with the basics along with AP-honors and other interesting classes, such as Technology. No matter what you want out of an online high school, you will more than likely find it here. Find out more information about this school by clicking the school link we provided below. Texas Success Academy Website Link Click Here. Park City Independent offers a program for adults over the age of 18 that want to improve upon themselves by completing high school and getting their diploma in order to move on into college, the work force, or military. With Park City Independent’s adult online high school program, you should find what it is you need. Park City Independent’s adult online high school program is set up for working adults knowing that their time is limited. With this program, you can choose from several classes or just one at a time depending on what fits you. The classes you chose are self-taught making class available with any schedule. You can enroll at any time and Park City Independent has a 30 day satisfaction guarantee if the program does not fit your needs. 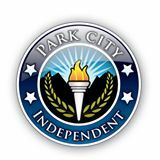 With a selection of courses from your basics to computer science to world language, and paired with an Academic Adviser to answer any questions you may have, we find that Park City Independent online adult high school program is a nice choice. You can find out more about this school’s online program by clicking the link we have provided below. Park City Independent Online Adult High School Website Link Here. BYU has in place an adult high school diploma program that is designed for people that are above 19 years old to complete their high school. This course is a pretty easy going course whereas you must complete at least two credits every six months with a total credits needed of 24 by the end earning you your official high school transcript. BYU’s program is designed for a four year class although you can finish early if you work hard. BYU has a college program through their BYU Independent Study Online Courses program. You will find a standard program along with an advanced program that will allow you to prepare for college or the job market. Students are not offered a diploma in this program but they are issued an official transcript that will help them apply to other colleges or universities. BYU Independent Study’s High School program is accredited by the Northwest Accreditation Commission, a division of AdvancED, the biggest accreditation group in the world. With this accreditation, your credits should transfer with no problems. It is best to check with any other colleges or schools you plan to enter to see if credits will, indeed, transfer. BYU Accreditation Link Here. BYU Independent Study Online Courses offers teachers that are accessible via phone, email, and live chat. These courses are self passed and offer students a chance to interact with each other, as well as, allowing students to learn at their own pace. Students on average perform better with this type setup as compared to the average brick and mortar school where the teacher’s attention is divided between 25 to sometimes 30 students and more. BYU is a really good school and you would stand out with employers if you could say that you graduated from BYU for sure. You can find out more about this school by clicking the link we provided you below. Penn Foster has a flexible program set up for adults with a busy schedule that allows you to study any time any where with planning tools, 24/7 access to online student community, and knowledgeable instructors that can help you along the way. Penn Foster is nationally accredited through the Distance Education Accrediting Commission, a nationally recognized accrediting agency. The Distance Education Accrediting Commission is also a recognized member of the Council for Higher Education Accreditation. Penn Foster also has several other areas of study and accreditation to go with those. Overall, a very well rounded school. Penn Foster Accreditation Link Click Here. Penn Foster has unlimited instructor support where you can call or email their instructor as much as needed. There are also discussion groups that your student can take part in whenever needed. There are no virtual classrooms, but here are some programs that have webinars. In addition, there are live Q and A webinars available on the Penn Foster Community Web site. If you would like to see more about Penn Foster Adult Learning Online High School Program, just click the website link we have provided below. Penn Foster Adult Diploma Program Website Link Click Here. James Madison Online School has a nice adult high school diploma program set up that is flexible to fit your busy schedule. With James Madison you have two diploma options to choose from, the standard general diploma or the college prep course that will allow you to not only enter the work force, but also prepare you for a secondary education if that is the direction you choose. James Madison High School is a accredited online high school accredited through the Southern Association of Colleges and Schools Council on Accreditation and School Improvement, a division of AdvancED, the largest accreditation group in the world. Whem a school is accredited through a group such as AdvancED, it means that the school has met a set of high standards and that they are up to date with all requirements needed in order to be an outstanding school. James Madison Accreditation Link. James Madison High School provides certified teachers for every subject. You can contact your teacher with questions any time by email or through the Ask Your Teacher forum. You also are provided an Academic Advisors that will work with you in order to ensure that you have a solid understanding of your lessons. James Madison also has set up Student Services to assist you with any administrative questions you may have that is accessible via their ticketing system within the Student Portal or by phone. James Madison is a good online high school with a quality adult diploma program. You can find out more about James Madison Online High School program by clicking the provided link below. Liberty High School offers an adult learner program for people 18 and above that need to finish high school. Starting in 1982, Liberty High School, through their self-passed adult learner program, has helped thousands of adults earn their diploma. Liberty High School has a personalized student teacher program, and a 800 number for live help. You can choose print based (by Mail) or online courses so no computer is required if you prefer doing it that way. You can also connect with online student discussion groups, if needed. Liberty High School Online and Print-Based programs are approved by the Vermont State Board of Education. The program exceeds the standards set forth by the Vermont State Board of Education. Liberty High School will carry the same recognition as any high school diploma from the State of Vermont. As long as you have a transcript from your previous school, Liberty High School will except those credits. Liberty High School offers the basic core classes needed to get your diploma plus other classes such as Health and Nutrition, Critical Thinking, and Human Relations. You should find all you need to take you where you need to be in life with this program. You can find out more about Liberty High School by clicking link we have provided below.